This is one of those books that you might not normally decide to pick up and read because it just looks a little too — ‘off’ (for lack of better word). But the reality is that this is poetic, haunting, and beautiful. This book, a novelette, really, is a sci-fi/fantasy story in which all the women of the world have died and the men gather around and tell stories. One story catches their attention and it turns out not to be a story, but a stranger truth … a fungus is growing from the corpses of the women and providing a strange comfort to the men. Not everyone likes this, of course, but the storyteller is consumed by his ‘beauty’ and tries to convince the others how wonderful it is. The book examines gender issues and gender roles by removing one of the genders … an interesting tactic. And the language is lyrical and poetic, making this easy to read. The characters, however, were not quite so wonderfully defined. The most interesting of all the characters in the book was the Beauty … a fungus/spore. The men, despite the efforts to examine gender, were bland and boring … nothing more than a means to bring about the Beauty. I enjoyed the read while in the moment of reading, but it won’t linger long with me. Looking for a good book? 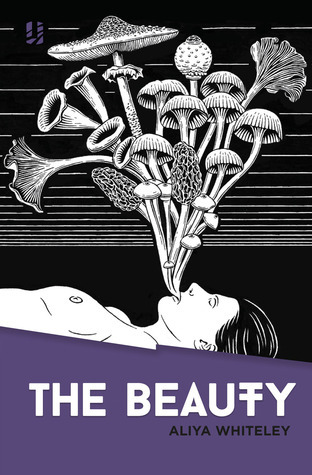 If you enjoy books that are concept-driven, then The Beauty, a sci-fi/fantasy book of poetic prose that examines gender issues, is perfect.